PHILADELPHIA (CN) – Flexing the antitrust muscles recently enacted for a class of medications called biologics, Pfizer accuses Johnson & Johnson in a federal complaint of stifling competition against its brand-name arthritis treatment. 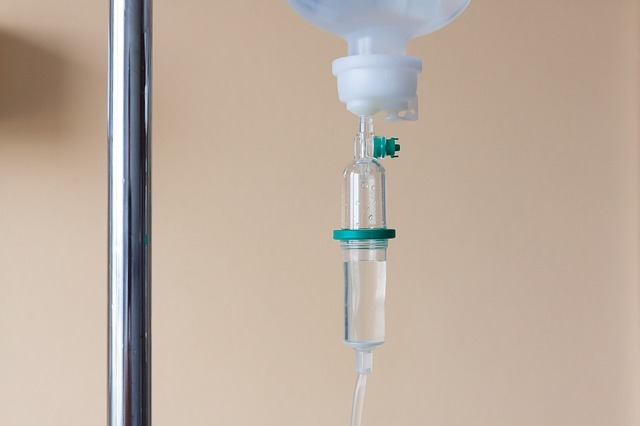 “For many patients suffering from chronic diseases such as rheumatoid arthritis, plaque psoriasis and Crohn’s disease, the best — and sometimes the only — option for treatment is infusion therapy with infliximab,” the Sept. 20 complaint states, using the generic name for a biologic that Johnson & Johnson markets as Remicade. Noting that patients with these chronic conditions often require long-term treatment and multiple infusions per year, Pfizer says Remicade has been raking in profits for Johnson & Johnson since 1998 as the only game in town. Claiming abuse of “improper exclusionary tactics,” Pfizer seeks relief under the Biologics Price Competition and Innovation Act, a law passed by Congress to ensure meaningful price competition for biologics, defined as medications derived from living organisms. The BPCIA has been in place since 2010, but Pfizer notes that it took several more years before Food and Drug Administration procedures for implementing the law took effect. Moreover the FDA only approved the first biosimilars, meaning a biologic that is determined to have “no clinically meaningful differences” from the already approved drug, in 2015. Pfizer says Johnson & Johnson worked from the get-go to undercut Inflectra’s launch. “The core features of the plan are exclusionary contracts that foreclose Pfizer’s access to an overwhelming share of consumers, coupled with anticompetitive bundling and coercive rebate policies designed to block both insurers from reimbursing, and hospitals and clinics from purchasing, Inflectra or other biosimilars of Remicade despite their lower pricing,” the complaint states. Pfizer is not the only victim of these anticompetitive tactics, according to the complaint, which notes that consumers specifically and taxpayers generally bear the ultimate cost of inflated prices for fewer choices. “If J&J’s conduct is allowed to continue, its ‘Biosimilar Readiness Plan’ will become the playbook for biologic originator firms seeking to preserve their dominance in the face of biosimilar competition — thus subverting the competition-enhancing objectives of the BPCIA,” the complaint states. Filing suit in Philadelphia, Pfizer selected a district that is home to the Johnson & Johnson subsidiary Janssen Biotech. Seeking treble damages and an injunctive relief, Pfizer says its claims rely on personal knowledge as well as research, publicly available sources and customer feedback. At $4,000 per dose, a full year of Remicade treatment costs $26,000. Pfizer meanwhile set the initial price of Inflectra at 15 percent below that of Remicade. Because medical providers administer infliximab treatments on-site, the complaint notes that they must use their own cash to stock the product, and later request reimbursement from insurers. When it comes to high-priced biologics like Remicade and Inflectra in particular, providers will usually only buy products that they expect insurers to cover. To keep its product in demand, according to the complaint, Johnson & Johnson included “fail-first” provisions in its contracts with insurers, requiring that doctors try Remicade first if they hope to be reimbursed for subsequent treatments. Pfizer calls this practice “medically inappropriate” and “illusory,” as a physician would almost always turn to a non-infliximab product if Remicade failed, not simply try another brand. “In short, insurers that decline J&J’s offer face a substantial financial penalty, and those that accept receive a payoff (multimillion dollar rebate payments) in return for their commitment to exclude biosimilars,” the complaint states (parentheses in original). Pfizer notes that the fallout from Johnson & Johnson’s conduct is already palpable, with the price of Remicade rising by close to 9 percent in the last year. Likewise the amount the U.S. government reimburses for Remicade has increased by more than $190 per infused dose, according to the complaint. Pfizer notes that Remicade’s ASP or average selling price has increased since Inflectra’s entry as well, despite taking into account discounts, rebates and other price concessions. Pfizer is represented by H. Robert Fiebach of Cozen O’Conner. Neither Pfizer nor Johnson and Johnson have returned calls requesting comment.